There are times when I read Torah and think to myself "yes! precisely!" It's the kind of revelation that creates creases at the lengths of my lips and inspires a smile, the crooked kind. The kind where the head tilts just slightly and then shakes left to right just so. And here, today, as I sit in my adopted coffee shop, it happened in the commentary to Ex. 13:17. I'll start off my Torah talk with this, because it's just one of those things. "G-d did not lead them by way of the land of the Philistines, although it was nearer." Rashi, Rambam, Ibn Ezra -- they all have thoughts on why G-d would lead the Jews on a longer route, especially after the hardship already endured. Maimonides said that G-d wanted to accustom the people to hardship, but hadn't they already become accustomed to hardship? Then, the Etz Chayim notes say: "Some commentators specifically spell out the implication that sometimes the harder way of doing something turns out to be the better way." Furthermore, "When something comes to us too easily instead of being hard earned, we don't always appreciate it." It was with this last line that the creasing, tilting and nodding happened. I'm a fan of applying Torah lessons to just about anything and everything in my life. And isn't that what we should do? The classes I most cherish from my school days are those that I had to completely throw myself into. They're also the classes where I earned the best grades and retained the most information. And so it is in my romantic life. Nearly three years trudging along hoping for something to work out can really take it out of a person, especially with the trauma, pain and distance along the way. But I'm beginning to taste the fruits of my labor, and how sweet they are. So it is that the Jews entered the promised land. Of course the two things I compare here aren't by any means on the level, but in a way, I want to imagine that it could feel this good. + A note on the Red Sea (ים סוף). The Hebrew translates as yam suf. Yam being sea and suf deriving from the Egyptian word for the papyrus reed. The translation Red Sea arose from a translation of the Greek Septuagint, although I can't seem to pinpoint exactly how such terminology ended up in the Greek, considering the Hebrew. Some scholars suggest that the "Red" comes from the fact that some nearby mountains or the crossing's proximity to Edom, which means red. Interestingly, though, to this day no one has been able to loca te a body of water with fresh water reeds, thus the location of the Sea of Reeds is unknown, although there's plenty of speculation about the locale. + Ex. 14:14: "The Lord will battle for you; you hold your peace." The notes offer a poignant interpretation of this line: "G-d will support and defend you -- but only when you stop quarreling among yourselves. A united people merits G-d's intervention." It's that second line that strikes me, particularly. It takes a people united to gain intervention of G-d. Is this an allusion to Moshiach? But is this only the peace of the Israelites that grants intervention? G-d intervenes, saving the Israelites, but the rest of the world (assumingly) is not at peace. Is this a selective thing? Does it imply that perhaps when there is peace within the Jewish community that intervention will arrive? Perhaps G-d isn't just sitting idly by, perhaps he's waiting? "A united people merits G-d's intervention." Indeed. "G-d does not change or suspend the laws of nature in order to work miracles. The wind that divided the sea had been created for that purpose at the time of the creation of the world." Of course this riles up the question of predetermination, but I've written on that before and it's for a different time. For me, this explanation is beautiful. Levi, my man, you're brilliant. + Note: "Mi Chamocha," (one of my favorites which is sung on Shabbat and other holidays) derives from Ex. 15:1-18. +Ex. 17:16 " ... The Lord will be at war with Amalek throughout the ages." I had to backtrack to understand exactly what this was getting at. Amalek attacked the Israelites and in Torah, and Amalek is viewed as "pure malice, attacking without cause." Thus, this parshah ends with the unfortunate statement that Adonai will be fighting evil, in essence, for the length of days (le olam? ), not the Amalekites/their actions. And that concludes this week's Torah time. I have to say this is one of my favorite parshahs thus far. I'm a dork, though, and things like this get me all giddy and excited. Someone walked by and asked if I was in rabbinical school. A dead Israeli soldier will father the child of a woman he has never met, in an unprecedented case. See full story here. JERUSALEM (AP) -- In a precedent-setting decision, an Israeli court has ruled that a dead soldier's family can have his sperm impregnated into the body of a woman he never met. Arguing that their son yearned to raise a family, his parents challenged that decision in court. On January 15, after a four-year legal battle, a Tel Aviv court granted the family's wish and ruled the sperm could be injected into a woman selected by Cohen's family. I thought this was particularly fascinating and had to share. "I think it is a human revolution," [Irit] Rosenblum said. "Ten years ago, who would believe that a human being can continue after he has died. I think it is great for humanity." 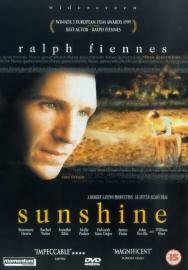 At 3 hours and 1 minute long, "Sunshine" starring Ralph Fiennes was sort of hard to put into the DVD player. The last 3-hour-long flick I watched was probably Titanic, and that was more years ago than I care to count. I had to set aside plenty of time to watch the flick, because those who know me know I'm the type of person who refuses to stand down when a movie is started. I've never walked out of a theater and have only shut one movie off mid-flick (it was "Mafia"). I'm a get-through-the-movie kind of person. It's just how I am. But this movie, this movie turned out brilliant. Three hours felt like moments. The film is based on three generations of a Hungarian family, and all of the patriarchs are played by Fiennes. We travel from the 1800s into World War II and into the 1950s. The story begins with the elder (not played by Fiennes) of the family leaving his shtetl-type village to take the family liquor recipe to the city. He becomes incredibly wealthy with his 'Sunshine' booze and sets the family on a well-seated path. 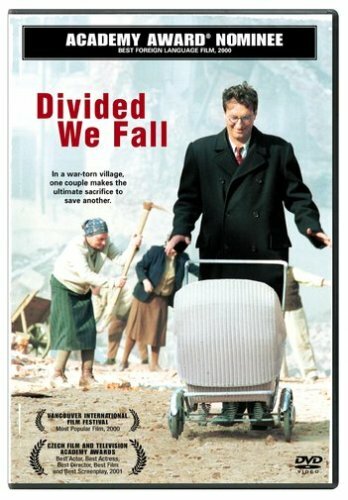 Then, as imdb.com says, the elder's son "becomes a prominent judge but is torn when his government sanctions anti-Jewish persecutions. His son converts to Christianity to advance his career as a champion fencer and Olympic hero, but is caught up in the Holocaust. Finally, the grandson, after surviving war, revolution, loss and betrayal, realizes that his ultimate allegiance must be to himself and his heritage." The fascinating thing about the movie is the ebb and flow of this family. The loss and the struggle of ide ntity. The original family name is Sonnenschein (which means sunshine), but in order to further his career, the lawyer son changes his name to Sors, a Hungarian last name. Thus he and his son go through much of their lives without others acknowledging their Jewish heritage. It is only when the fencer wants to join a fencing club that he must acknowledge his heritage and convert to Christianity. But even still, the Nazis play no favors to Jewish converts and his son is persecuted even still. The use of Fiennes as each patriarchal figure is a fascinating trick, because it shows a continuity of struggle within the family identity. And let it be known, that this film isn't full of Orthodoxy or anything of the sort, but still the Jewishness is ever present. It traverses familial struggles between the old and new, tradition versus change. And the end of the film brings us full circle, but I won't give that away. I think it's better that the viewer take it on. Another flick I recommend, darn't! In this parshah are the three final plagues: locusts, darkness and, finally, the death of the first born. The Israelites leave the land, matzot and thousands in tow. + Ex. 10:14 "Locusts invaded all the land of Mitzrayim ... never before had there been so many, nor will there ever be so many again." I appreciate knowing that never again will a swarm of locusts be brought upon the land. It's comforting. And the one [the locust plague] that took place in the days of Joel, about which it is said: “the like of which has never been” (Joel 2:2), [from which] we learn that it was more severe than that of [the plague in the days of] Moses-namely because that one was [composed] of many species [of locusts] that were together: arbeh, yelek, chasil, [and] gazam; but [the locust plague] of Moses consisted of only one species [the arbeh], and its equal never was and never will be. + Having never read through the Bible/Torah before, even in my youth (I was raised w/o religion, essentially), I was unfamiliar with some of the plagues. Perhaps the one I was most unfamiliar with is the Ninth Plague -- darkness. The sages surmise that it wasn't physical darkness, such as that brought by a sandstorm or eclipse, but rather that it was "a spiritual or psychological darkness, a deep depression." 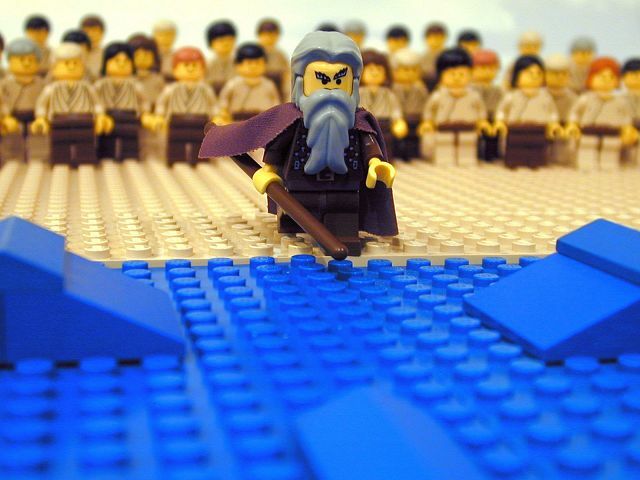 The Torah reads, "People could not see one another, and for three days no one could get up from where he was" (Ex. 10:23). The commentary comments that people suffering from depression often lack the energy to move about or to concern themselves with others, focusing instead on themselves. Having nearly drowned in the sea of darkness that is depression myself, I read this and am completely overwhelmed. My mother and the man I love both suffer that which was plagued on the Egyptians. A darkness that comes and goes, though. On another note, although I seem to agree in principal that the depressed person typically cannot (rather than does not) concern themselves with others, there's a case from this very day that perhaps proves otherwise. Case: A person in my life is depressed, not wanting to talk, I feel helpless and leave the conversation. Not long after, there is an e-mail expressing hope that I'm not upset regarding the person's depression. Is this not concern for me while depressed? Indeed. + I cherish the explanation behind the creation of the Jewish calendar in Ex. 12:2 and why our calendar follows the moon, as opposed to the sun: "Just as G-d showed Noah the rainbow as a sign of the covenant, G-d shows Moses the sliver of the new moon as a symbol of Israel's capacity for constant renewal (Hirsch)." What a brilliant concept and explanation. + Ex. 12:24 "You shall observe this as an institution for all time" -- why do we no longer offer up the paschal sacrifice then? + Introduction of the "idea" of t'fillin toward the end of parshah Bo (Ex. 13:9). I didn't realize it was introduced so early in Torah, as commonly it's attributed elsewhere, or so I thought! A sign as in "It is because of what the Lord did for me when I went free from Egypt." In case you forgot about the differences in Judaic practices ... along comes Jerry Seinfield and Tamara Cohen, a real estate broker. Jerry and his wife bought a spread in NYC for several million dollars, but without, evidently, the presence of the broker who found the place. Why? They wanted to view the house on Shabbat. Miss Cohen claims she is an observant Jew and couldn't show it. The Seinfields say NO COMMISSION! Miss Cohen won the dispute, of course. Right in my own backyard. Ugh. When will politicians start thinking before they speak? A veteran Virginia lawmaker from suburban Richmond ignited a hot exchange in the House of Delegates on Tuesday after criticizing a proposal for the state to issue an apology for slavery and likening it to requiring Jews to apologize for "killing Christ." "Only when the Israelites have their own land can they become the special people they are summoned to be. Only there will they have the duty and the opportunity to translate the ideals of the Torah into the realities of daily life and fashion the model society from which all nations will be able to learn. ... [It] is the Torah's ultimate promise; ..."
Why do movements doubt the necessity of the return to Israel? Why have the numbers of individuals making aliyah decreased? Why does the Diaspora content itself with being dispersed and not within the land? What does the land mean to us, as Jews? On that note, what does Israel mean to me? My connection to Judaism has grown without a necessary connection to the land of Israel, itself. I relate to the "idea" of the Jewish homeland, and I stand firmly that Israel is the place that this homeland should be. I do not, however, know precisely whether I connect to the land at this point in my life. I long to visit, and intend to via Birth Right before I turn 26, which gives me only a few years. I connect to the history of the land, as early Jewish history is what thrust me into Judaic studies four years ago. It was a class of Abraham and Isaac, Egypt and Israel, the exodus and the Near Eastern tales. So do I believe in the return to Israel, to be able to "translate the ideals of the Torah into the realities of daily life" or that Israel is the one place this can be done? I don't know. I do know, however, that it might very well be the easiest or most accessible place to do this. In a land where Jews amass, there is the possibility for kashrut and being religious, with few worries of the outside world knocking. Then again, look at Orthodoxy these days. Look at Tel Aviv and the dispersion of the Jewish community within the land. + Within the same passages, Ex. 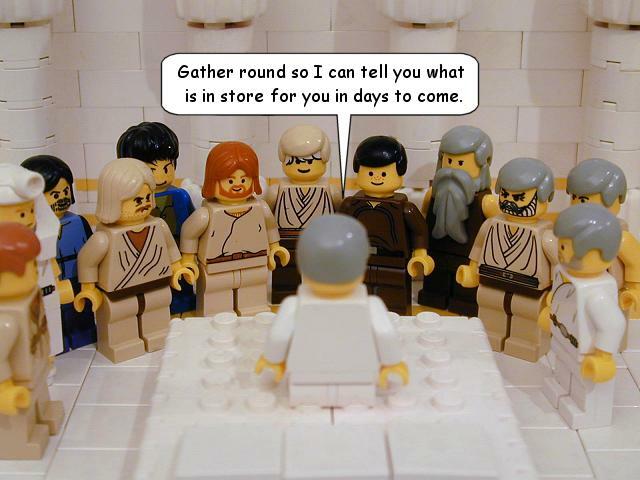 6:6 says "... I will free you from the labors of the Egyptians ..." and I find the commentary by Menahem Mendel of Kotzk particularly profound and it reminds me of the Warsaw Ghetto uprising and other moments when Jews acted "out of character" to most, compared with history. Historians often puzzle at the militarism and force behind which Jews protect Israel, but it is born of having had enough. As Mendel says in the commentary, "A first step toward liberation will be freeing themselves from their passivity and their tolerance of the intolerable." Is this not what happened within and following the Holocaust? + I draw qualms with Maimonides in regards to Pharoah's actions in this parshah. In a discussion regarding the hardening of Pharoah's heart, and how he can be punished for what G-d causes him to do ... Maimonides says, "Sometimes a man's offense is so grave that he forecloses the possibility of repentance. ... he forfeited the capacity to repent." It is my understanding that within Judaism, repentance is always an option. Although Pharoah's actions are the utmost of the grave ... is he also not given the opportunity to repent? Why is he exempt from this? Is it possible that the longer one refuses to choose the right choice, the more one depletes the choice to repent? I suppose it's a question of whether we believe that people truly can change and seek forgiveness. It is apparent that Maimonides believes Pharoah was hopeless. + I am perplexed at G-d's willingness to kill all the fish in the Nile with the plague of the bloody waters, considering the consideration of fish throughout as being free of the "evil eye" and evil inclinations. + The fourth plague is plagued by the word arov, which is not as debated as it was in th e 9th through 12th centuries C.E. Various figures, including Rashbam and Abraham ibn Ezra, are among those debated whether the word, which is a noun based on a root meaning "to mix," means insects or wild beasts. There's a stellar analysis of the issue on the Biblical Archaeology Web site, if you're curious about the issue. Evidently English translations of the Pesach Hagaddah often translate the plague as "wild animals," because illustrations in the documents typically display lions or other wild beasts. So while finishing up my book on the Holocaust's reach into Arab lands, I started thinking about something. When did the idea of divide and conquer go away? It could have been spawned by the isolationist ideal of "this is land is my land" and "that land is your land" ... so back off. But the days of boundary arguments and wars to take over lands and peoples is long gone. You find boundary battles in places like Africa and some Asian areas, but the world's largest nations -- France, England, the U.S. -- don't do a whole lot of conquering. Colonization is dead. The idea of world occupation, or even continent occupation is dead. When did this happen? Did it die with Hitler's attempt to kill the Jews and take over Europe? Did it become taboo to want to rule the world? Will manifest destiny become reborn someday? Or are we through with the idea of acquisition and are happy with what we have? Fascinating stuff, I say. Colonization ... exploration ... it created the world, and ruined entire peoples. Sigh. I can't help but share the daily thought from the teachings of the Lubavitcher Rebbe from Chabad.org. 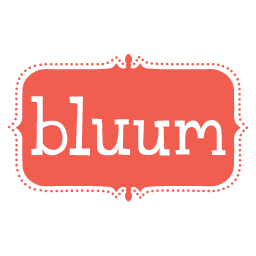 It's Jewish related, but it's also a departure (yet again) from all things Jewish in this blog. But it's absolutely profound and meaningful to me. The relationship of man with G-d epitomizes the relationship of me with the man I love and have loved for nearly three years. Those close to the situation are wary of the outcome at this point, but only because of the pulling and running. But for those who understand the relationship with G-d, perhaps too those can understand the relationship of all-consuming love. As a mother and the baby she holds in her arms, as a father and child, as two in courtship or in marriage, so we are with Him. One chases, the other runs away. One runs away, the other chases. One initiates, the other responds. The other initiates, the one responds. It is a dance, a game, a duet that plays as surely as the pulse of life. Until one falls away and becomes estranged. Then the other looks and says, "This is not an other. We are one and the same." And so, they return to each other's arms once again. It is a great mystery, but in estrangement, there is found the deepest bond. In other news, there will be Torah commentary this week, as well as a bit on the book I've been reading and hope to finish regarding the reach of the Holocaust into Arab lands. I've sort of fallen off the wagon of study, and am hopping back on now that I'm in the process of putting things together and moving along. Basically, faithful readers, please stay tuned! I'm not a very spontaneous person, but if there's one thing I've figured out while being completely alone out here on the coast with nothing but Torah, reading and coffee to keep me company, it's that I spend too much time considering how easy things are that I don't put enough effort in changing them. I waited till the last minute to take the GRE and apply to graduate school. I should have started the process in May or June. Instead, I waited till November and gave myself a month to figure things out. My desperation opened my eyes to a lot of things. So I'm going to go after the things that make me happy. There's a person, there's a city and a job can't be that hard to find in a city thriving with the Jewish presence. Graduate school will come when it's ready, and if I get accepted to Connecticut or Michigan, well, I'll figure that out when I get there. But I want to give myself a better shot at things. Because there are ways in which we can fulfill happiness, and it's how we prioritize those things that expresses who we are. I need my Shabbat, I need a warm bed, I need the feeling of love and warmth and kindness. Ani mevinah. It took awhile, but ani mevinah. In completely unrelated news, I was riding the Metrobus the other day and was shocked to find this written on a cushion of the bus I was on. It was my normal bus route, and the seats typically are covered with all sorts of scrawlings in permanent marker by teens in "gangs" like the "Lench Mob." It's incredibly sad, but sort of amusing that these middle schoolers are sporting gang names and symbols years after the bloods and crips -- two of the bloodiest gangs -- called it even. Yah, MS-13 is still around, but they're an incredibly DIFFERENT breed of hoodlum (if you don't know about them, they're a Salvadoran group, almost more like the mob, as they're known for using machetes to remove people's body parts). These kids are kids. But I saw this and have no clue what the writing below the "NO JEWS" stands for. If anyone knows, I'd be curious to know for sure. It's the first bit of anti-Jew scrawling I've seen, ever, in graffitti. And no Torah this week. Next week, though. Sh'mot got my attention, but not as much as it deserved. I'll proceed with Exodus next week, and perhaps pick up some of the questions/thoughts I had from Sh'mot. The great thing about working for a newspaper is that there's lots and lots of free stuff. It was this way in college, too, of course. Books and CDs came in as promotional material or for reviews. Writers, artists, anyone who has something to promote ships their goods off to the newspaper and after it is written about or reviewed, the items typically are kept, put in the newspaper's library or put out for taking by folks from sections that don't do reviewing. This is great, except for one thing. Most of the books are advance copies. ADVANCE copies. That means they're STUFFED with errors. Not just poorly placed commas, but misspelled or wrongly placed words. I know I shouldn't complain, but damn. As a copy editor, books are blessings but advance books are curses. When I'm reading a text and find a bounty of errors, it kills the mood. It's like passionately kissing your lover only to have his or her dog come up and lick you on the face. It just kills the mood! But I read on. Especially this Holocaust in Arab lands book I picked up. Absolutely fascinating. It's sort of making me hate on the French, though. It's also keeping me from reading other books I've started. Fully submerged, I can't focus on anything of the other books in my possession. 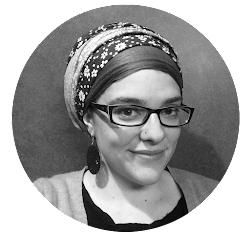 As abused women once were oppressed in the name of shalom bayit, converts to Judaism are now being oppressed in the name of The Eternal Family, a code word used by the supporters of a bill proposed by Sephardi Chief Rabbi Shlomo Amar. The bill would deny Jews by conversion equal access to the Law of Return. I'm not an Israeli politician. I'm an American psychologist. And as a psychologist I know that to question the personal status of someone who converted to Judaism is to whip her with a vicious triple-tailed whip made of the following components: Public humiliation, threat of rejection, and social stigma. The irony of the institutional abuse of converts is that it comes from the very institution that ought to feel charged with the duty to protect them. Members of the Rabbinate have studied religious texts that explain the convert's exquisite emotional tenderness, and advise taking particular care with their feelings ("Do not taunt him" – Leviticus 19). There is a religious obligation to avoid calling attention to the convert's status, even in casual conversation, lest she feel diminished.